Pick the Guest from Hotel Chaithram and Departure to Padmanabhapuram Palace. Enroute stopover at Parasala Motel Aaram (1/2 hrs) for breakfast. Visit Vivekananda Rock and Thiruvallur Statue by boat, Triveni Sangamam and Tsunami Monument and Kanyakumari Devi Temple. Drop at Chaithram and Mascot hotel. 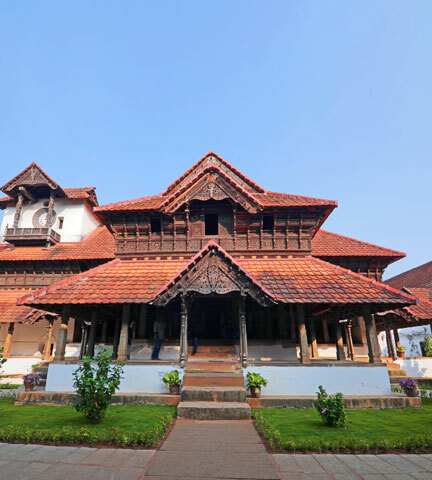 A well-preserved wooden palace which stands as a glorious testimony to the traditional Keralaarchitecture is the Padamanabhapuram Palace. The seat of the erstwhile rulers of Travancore, this marvelous palace is situated at Thuckalai, on the way to Kanyakumari. The extraordinary murals, exquisite floral carvings and the black glossy granite floor continue to astound all who view it to this day. 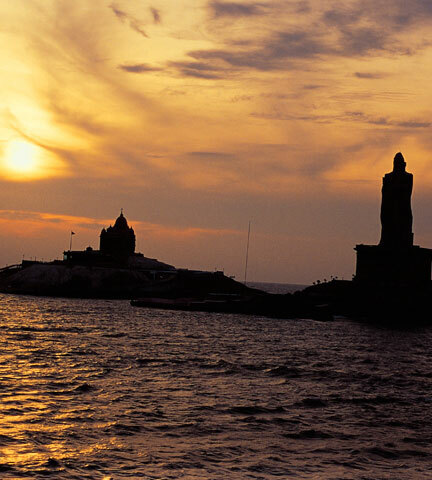 Situated at the tip of the Indian Peninsula, Kanyakumari is a beach town. Kanyakumari is the place where the Bay of Bengal, the Indian Ocean and the Arabian Sea meet and here one can view both Sunrise and Sunset. The confluence of these three places is also referred as 'Thriveni Sangamam. Vivekananda Rock and Thiruvallur Statue by boat, Triveni Sangamam and Tsunami Monument and Kanyakumari Devi Temple are the major attractions here.